SCE's Vegetation Management team works year-round to trim trees and clear brush. With El Niño season around the corner, SCE’s vegetation management work takes on added importance. On a quiet suburban street in the San Gabriel Valley recently, a half-dozen men wearing hard hats and bright colored vests were busy taking chainsaws to overgrown tree branches and feeding them to a pair of large wood chippers. They were not there to make the trees prettier. 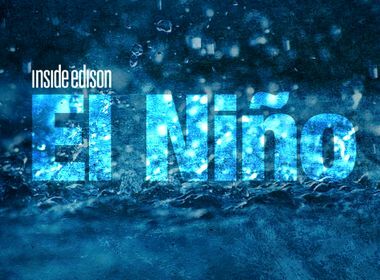 Keeping the lights on will be that much more challenging this winter as a major El Niño season is expected to bring strong winds and record rains to the region. A single palm frond can fly three city blocks during a storm and wreak havoc on a power line, Oatis said. 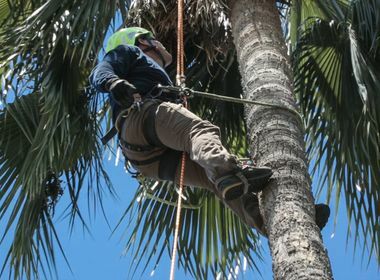 Keeping palm trees properly “skinned” and the nearly 1.5 million trees in SCE’s service territory from encroaching on power lines falls on Oatis’ vegetation management team. It is a year-round process that starts with visually inspecting every single tree that poses a potential threat. On any given day, 260 crews of two or three workers are deployed throughout the service territory. They trim about 700,000 to 800,000 trees yearly, working off a grid system. The crews also remove dead trees, clear brush from access roads and stand ready to respond during storms. “There is no break in our schedule, we are on 24/7,” Oatis said. With El Niño around the corner, this year’s work is even more important. Trees touching power lines are a leading cause of power outages and downed power lines are a life-threatening hazard. Oatis also expects his team will be on heightened alert during El Niño to clear downed trees and other vegetation. Oatis and his crews may care less about aesthetics than your typical arborist, but they use the same techniques to shape trees, except in this case to direct them away from power lines. Branches must be cut at a certain pattern and along precise marks. Property owners should never attempt to do the work themselves if their trees are close to power lines. 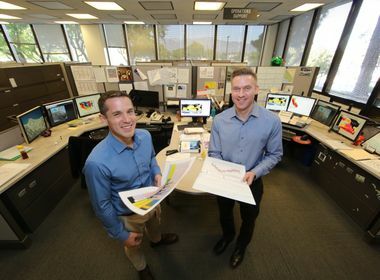 They can call SCE at 800-611-1911 and the company will perform the work free of charge.